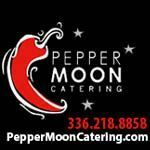 The inaugural epicenter Music Festival will take place on May 10,11 and 12 2019 at the newly created Rockingham festival Grounds in Rockingham, NC. 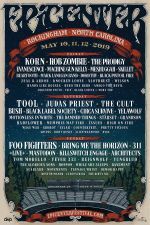 Epicenter will feature sets from FOO FIGHTERS, TOOL, KORN, ROB ZOMBIE, JUDAS PRIEST, BRING ME THE HORIZON, THE CULT, 311, BUSH plus dozens more. Tickets go on sale Friday, Decemer 14 at Noon. Bryan Adams announces that he will head to the United States as part of his massive ‘Shine A Light’ world tour. 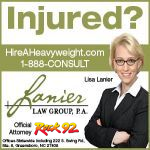 Produced by Live Nation, the U.S. outing will kick off May 4th at Charlotte Metro Credit Union Amphitheatre in Charlotte, NC and wrap May 12th at Red Hat Amphitheater in Raleigh, NC. 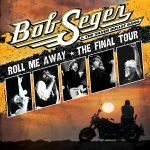 Bob Seger & The Silver Bullet Band are pleased to announce they are adding twelve new shows to their hugely successful final tour, including stops at PNC Music Pavilion Charlotte on May 16, and Coastal Credit Union Music Park Raleigh on May 23. OZZY OSBOURNE will play PNC Music Pavilion Charlotte on June 4. 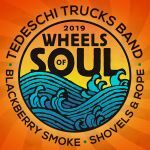 Mickey Hart, Bill Kreutzmann, John Mayer, and Bob Weir, with Oteil Burbridge and Jeff Chimenti - announces its 2019 Summer Tour and will play PNC Music Pavilion Charlotte on Friday June 28. The tour will play PNC Music Pavilion Charlotte on July 7, and Coastal Credit Union Music Park Raleigh on July 9. IRON MAIDEN will bring the Legacy Of The Beast Tour to PNC Music Pavilion Charlotte on July 22, 2019. Ringo Starr and His All Starr Band revealed additional tour dates for this year including a stop at DPAC on August 6, 2019. The 2019 All Starr Band will feature Steve Lukather (Toto), Colin Hay (Men at Work), Gregg Rolie (Santana/Journey), Warren Ham, Gregg Bissonette and the return of All Starr alum Hamish Stuart (Average White Band). Carlos Santana will bring his “Supernatural Now” tour to PNC Music Pavilion Charlotte on August 13. HEART is excited to be joined in Raleigh at Coastal Credit Union Music Park on Saturday 8/10 and PNC Music Pavilion Charlotte on 8/14 by Joan Jett & The Blackhearts and Elle King. 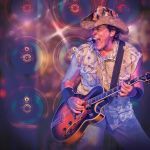 Ted Nugent will play at the White Oak Ampitheatre in Greensboro on August 16th. Queen and Adam Lambert will perform Friday August 23rd at Spectrum Center in Charlotte, NC. Legendary guitarist Peter Frampton has confirmed Peter Frampton Finale—The Farewell Tour presented by SiriusXM, continuing throughout the summer and fall to include dates at PNC Music Pavilion Charlotte 8/30, and Coastal Credit Union Music Park Raleigh 9/14. 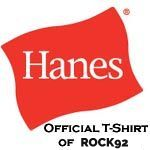 Phil Collins STILL NOT DEAD YET, LIVE! 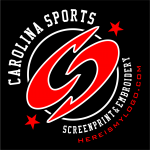 is coming to Spectrum Center Charlotte Sunday 9/29. 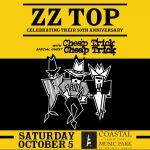 ZZ Top with Special Guest Cheap Trick will play thr Coastal Credit Union Music Park at Walnut Creek on Saturday, October 5th.